is an engine repair company dedicated to the oil and gas industry. We specialize in high horse power diesel engine repair on frac trucks, cement pumpers, drilling rigs, service rigs and other equipment commonly used in the natural resources industry. Our commitment is to get you up and running as quickly as possible and to help keep you running. Our certified mechanics have a passion for diesel engine repair and thrive under the pressure of emergency situations. Their expertise in equipment and problem solving will have you back on the job fast. We provide 24 hour service - 7 days a week and are committed to supporting our customers. Our work ethic is second to none. We are located in Eastern Ohio on US 30 in Kensington, 20 miles east of I-77 and 15 miles west of Rt 11 (see map). 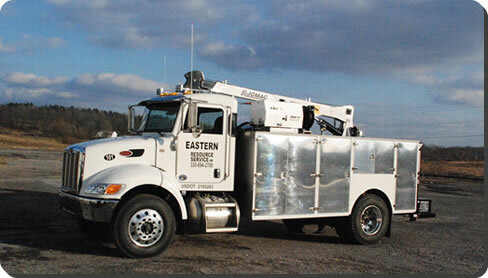 Our field service territory includes Ohio, New York, Pennsylvania, West Virginia, Michigan, Kentucky, and Indiana. Whether we service you in the field or at our fully equipped shop, we are dedicated to providing consistent, reliable, expert service and support for all types of heavy duty equipment. Preventive maintenance on location and in our shop for entire fleets. Our clients include; Baker-Hughes, Weatherford, Fractech and Calfrac. © 2011 Eastern Resource Service, LLC. All Rights Reserved.